Did WND Know The Seth Rich Conspiracy Was Fake News All Along? 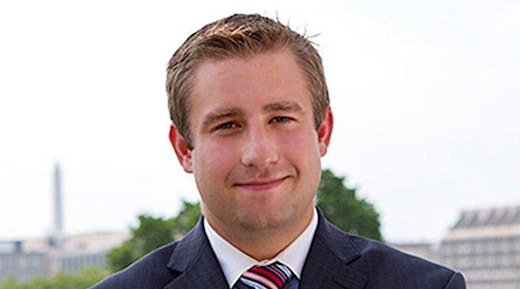 Last week, the Daily Beast reported that Jerome Corsi and Roger Stone, despite spending the past two years promoting the conspiracy theory that Democratic National Committee staffer Seth Rich was murdered because he leaked private DNC emails to WikiLeaks, knew as early as August 2016 -- less than a month after Rich's death in apparent botched robbery attempt -- that Russian hackers, not Rich, gave those emails to WikiLeaks. This raises some uncomfortable questions for WorldNetDaily, one of the chief promoters of this bogus conspiracy theory. Corsi was an employee of WND until January 2017, when he moved to Alex Jones' InfoWars. WND was quick to embrace the conspiracy theory that Rich was murdered over the emails. An August 2016 article by Bob Unruh published a week after Corsi knew Rich had no role in leaking the DNC emails touted how Rich was among the "people with tangential connections to Bill and Hillary Clinton have died in unusual circumstances" and repeated the suggestion from right-wing columnist Rachel Alexander -- most recently prominent at WND for painting corrupt right-wing ex-congressman Steve Stockman as an innocent victim of the "deep state" -- linking his death to the leak of the DNC emails. Even the slow disintegration of the Rich conspiracy theory on other fronts hasn't moved WND to correct the record. Now we know that at least one WND employee at the time it embraced the Rich conspiracy theory knew the story was false as WND promoted it. It's possible, if not likely, that others at WND knew that as well. In short: WND knew or should have know the Rich conspiracy was fake news, yet it spent two years promoting it as if it was real. Rich's family and spokespeople have not been shy about filing lawsuits against those who promulgated the false conspiracy theory (even if they don't always succeed). It's clear that with this revelation, Corsi and WND now face legal liability for pushing a story they knew or should have known was false from the get-go. WND has not reported on this development, let alone admit its implications. This refusal to take responsibility for its mistakes -- or, in this case, an apparent decision to knowingly publish a false story -- is a big reason why WND has not yet demonstrated that it deserves to live beyond its ongoing financial crises.